She chose the best in the field. She chose an ABOS Board Certified Orthopaedic Surgeon. She chose a higher standard. He chose quality and safety. He chose an ABOS Board Certified Orthopaedic Surgeon. He chose shorter recovery times. Learn why it is important to select an ABOS Board Certified Orthopaedic Surgeon. Is your Orthopaedic Surgeon Board Certified? Many patients often assume that they are, but this is not always the case. Don’t compromise when it comes to the quality of care you receive. Take a moment to confirm that your Orthopaedic Surgeon is, in fact, Board Certified by the American Board of Orthopaedic Surgery. It is our commitment to bring you the very best in orthopaedic care. Orthopaedic Surgeons who meet our standards, and yours. When choosing an Orthopaedic Surgeon, go beyond the roadside billboard or online reviews and look for an official seal from the American Board of Orthopaedic Surgery (ABOS). ABOS is the most widely recognized standard of achievement for Orthopaedic Surgery. 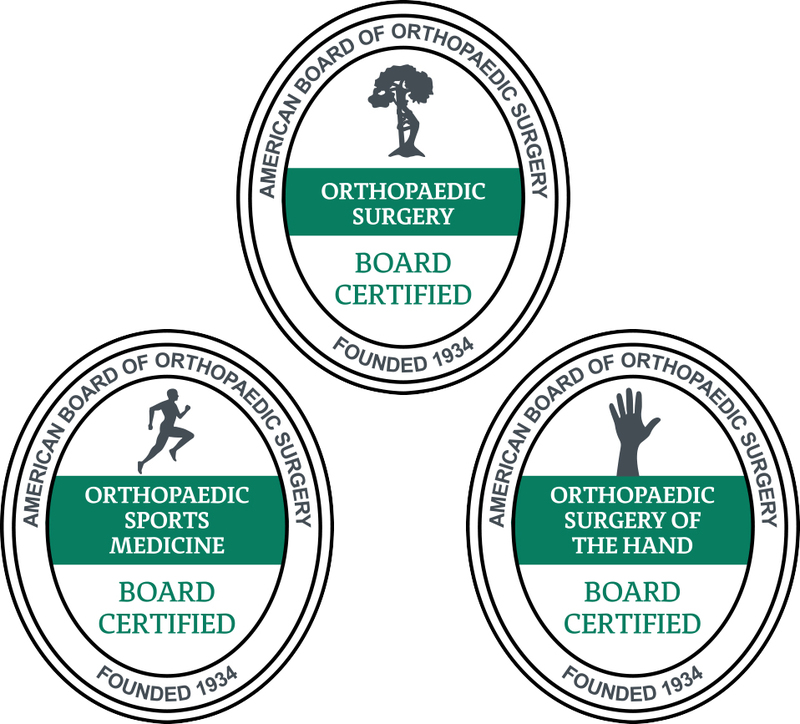 If your Orthopaedic Surgeon has earned our ABOS Board Certification, you know that he or she is highly-competent, operates with safety and quality in mind, and is up-to-date on the latest advances. ABOS Certification demonstrates an Orthopaedic Surgeon’s attainment to high standards for education, knowledge, experience, and skills.